The Merriam-Webster dictionary defines research as a “careful or diligent search,” a “studious inquiry or examination,” and “the collecting of information about a particular subject.” Why is it, then, that most executive search and recruiting professionals so often think of research as mere “name generation?” “Name gen” is rarely careful, diligent, or studious. More often, it involves a relatively haphazard scooping up of names and titles, willy-nilly. And that leads to a “kiss every frog” approach to recruiting in order to find your prince. As the execution engine of executive search, your research can be either a Ferrari or an Edsel, a car that failed spectacularly due to poor workmanship and a failure to understand the American consumer. The Ferrari is Human Capital Intelligence: research that, through analysis, is transformed into actionable intelligence to provide your search with a competitive advantage. When you embed intelligence into virtually every step of your search process, you dramatically improve search performance. I’m not suggesting that you work harder. I am suggesting that by doing the following 10 steps, you can work smarter so you don’t have to work as hard. Conduct an internal intelligence review. Critical information is usually scattered like buckshot across departments and teams within companies. Sales departments often have conference attendee lists. Marketing departments often have big market research reports. Your company has already paid for this information. Use it for recruiting, and you increase your company’s return on investment. Study what actually works. Review the resumes of the people who have actually been hired into the position and team into which you are recruiting to determine what, if anything, they have in common. How many years of experience do they have? Is that experience aligned with the job description, or are they expecting more of the candidates than they are of themselves? Is there a cluster of candidates from any one particular company? For instance, check out Microsoft’s Distinguished Engineers and Technical Fellows, executive-level personnel on the engineering career track. What do you see in common? I’ll give you a hint: take a look at Hal Berenson, Dileep Bhandarkar, and Darryl Havens, or examine Technical Fellows Butler Lampson, Charles Thacker, andDavid Cutler. In fact, about a dozen engineers came from another company. (Have you figured it out yet?) The cultures are a perfect fit. Consult with the hiring manager. Intelligence provides a platform upon which to build out a consultative relationship with an executive who serves as a hiring manager. If that manager is in need of a critical hire, he’s likely overworked and understaffed. The last thing he wants to do is to stop and download the information you need to find the perfect candidate. However, that is exactly what needs to happen. Rarely do position descriptions tell you what the candidate will actually have to accomplish his first year on the job to be considered a success. So ask. And don’t accept a simple explanation. Get granular detail, starting with the 5 Ws: Who (org chart), What (tactics), Where (travel), When (timetable), and Why (strategy). And, while you’re at it ask, “How?” Then, test the requirements by inquiring, “If I find someone who has successfully done what you need to have done, and if he only has eight instead of the required 10 years of experience, do you want to see him? What if he’s successful, but has only an undergraduate degree?” Start knocking out unnecessary requirements until you get to the core “must haves.” Review the compensation, and ask, “Are you confident the salary and scope is competitive when compared to other opportunities in the marketplace?” Set expectations and describe how you will provide him with actionable intelligence from Step 5 to make the search bulletproof, while at the same time find the candidates he needs. Conduct market intelligence. Conduct research to capture and report out the number of similar openings against which you are competing. Find out what your competitors are offering in the way of salary, benefits, and relocation. Often, hiring managers and the financial personnel controlling the purse strings assume that the salary is competitive when it doesn’t offer a candidate enough of a difference to warrant making a move. You know it. The hiring manager knows it. Almost everyone within the organization knows it, but weirdly, everyone remains stuck for political reasons or simply through inertia. A market intelligence report serves as a powerful wake-up call for everyone involved and provides hiring managers with the hard data they need to go to bat for an adjustment in compensation, title, or scope. Develop a search plan and work the plan. In Steps 1 through 5, you have gathered a great deal of potent information. Take a moment to analyze what it all means. Resist the impulse to dive in and scoop up big buckets of candidates from target companies. There isn’t enough of you to go around. Instead, work your sources to find out who the best people are. Report out a list of initial target candidates with biographies, and incorporate the feedback into your plan. Look for patterns upon which you can capitalize. Ideally, cherry-pick the rock stars. Never target entire companies. Rather, track specific luminaries or specific teams that are outperforming. To avoid wasted time calling the wrong people, reverse engineer the titles by examining job postings to determine what precise titles at each target company map to your opportunity. Prioritize the best targets and push less likely suspects further down on your to-do list. Set news alerts for opportunistic swoop-ins. Visit the news page in Google and set alerts relevant to your search. Track RSS feeds. Scour blogs. Track reports of layoffs, mergers and acquisitions, and earnings disappointments, events which often make candidates a little more willing to make a move. If a company or an entire industry goes into free-fall (as was the case with subprime), it offers a significant opportunity to capture talent at virtually every level and function. Develop a bench of executive candidates and candidate pipelines for staffing level. If you find yourself recruiting similar senior-level executives, it makes sense to proactively recruit a bench of candidates in advance of a role opening up. Building out candidate benches or candidate pipelines across a range of positions offers you the opportunity to drive time-to-fill to near zero. Demand superior research and transparency from search firms.Retained search firms often tout their personal networks and proprietary databases as the reasons why you should choose them over their competitors. But those advantages have been largely rendered irrelevant by social networking sites such as LinkedIn and Facebook and by the proliferation of candidate information on the Internet. There is no shortage of candidates or of networks. What we have is too much information, too little intelligence. So before you waste your time with shootouts between firms vying to win a retained search, simply check the websites of Egon Zehnder, Heidrick & Struggles, Korn/Ferry, Spencer Stuart, or search firms of your choosing. If their definition of search process makes no mention of intelligence and revolves primarily around target company and target candidate identification, walk on by. Conduct intelligence on intelligence: Share best practices. There is no one association for you to join that will help you leverage intelligence in search. The Society of Competitive Intelligence Professionals will teach you about competitive intelligence, but it is not specifically focused on search. The Association of Independent Information Professionals will teach you about research, but not necessarily intelligence. David Lord has built a network of corporate talent officers for the sole purpose of advocating for best practices in search, but it is not focused on intelligence, and the same goes for the IACPR, an organization committed to that same end. As a result, we at The Good Search have had to build out our own roundtable. Collaboration speeds innovation and when done properly, all participants stand to benefit from the collective knowledge. Clearly, harnessing the power of intelligence is a best practice that has long been embraced by other industries such as finance and marketing. Its arrival in the search business is long overdue. Recruiting that fails to leverage human capital intelligence is like searching with your eyes closed, with far too much stumbling around in the dark. 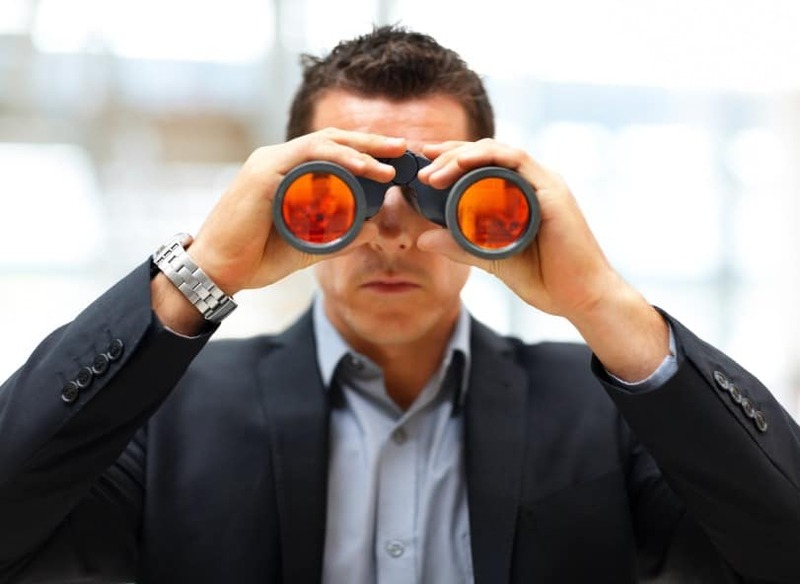 Search that harnesses the power of intelligence continually scans the competitive landscape. It is as if the scales have fallen from your eyes.